The Warriner School in Bloxham, Oxfordshire has achieved Centre of Excellence status. The Warriner School is an oversubscribed, 9 growing to 11 form entry, 11-18 rural village school located in North Oxfordshire. It is situated on a large greenfield site with a 120-acre school farm. They host an LA managed 12 place Communication, Interaction Resource Base for pupils with high need Autism and a community swimming pool. They are part of The Warriner Multi Academy Trust with 5 primary schools, all of whom are seeking to achieve IQM in line with the inclusive ethos of the Academy’s directors. 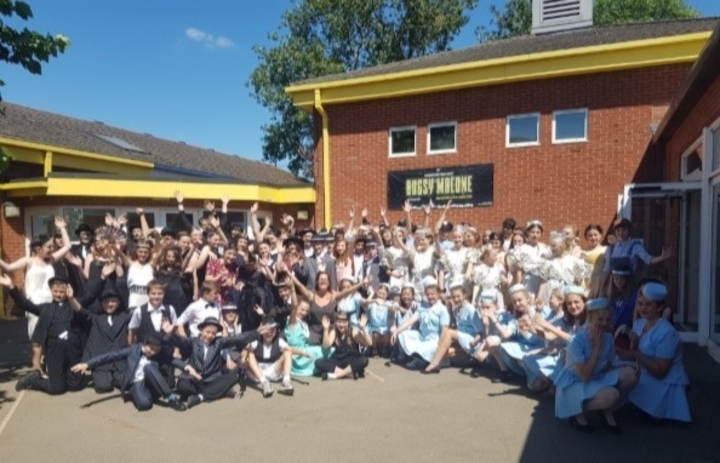 The Warriner School has a reputation locally for being highly inclusive and for that reason, is the school of choice for many children with SEND or medical needs. This is a reputation of which every staff member I met, emanated pride and a sense of achievement. The Headteacher, Dr Annabel Kay is a warm, welcoming and enthusiastic leader. Unwavering and unapologetic for her vision and practice of inclusivity. She demands that every child is recognised as an individual and that every child leaves school with a strong sense of morality and achieves the academic outcomes that will enable them to achieve their desired career paths. Indeed, In March 2018, Ofsted’s Section 8 Inspection deemed the school to continue to be securely good and commended the inclusive moral purpose that underpins their curriculum. Dr Kay, clearly has the support of the MAT, Governors, staff and pupils and parents alike. Infact all stakeholders consistently commended the highly inclusive admissions, support and practice that she had established and embedded. The Headteacher is supported by an SLT of 6, all of whom have a clear sense of purpose and direction and conveyed their passion through their intricate knowledge of the pupils and their intense desire for all pupils to be valued contributors to society. All were acutely aware of the school’s strengths and areas of development and were sincere and determined in their pursuit of success for their designated cohort of vulnerable learners. All staff whom I spoke to, were immensely proud of their achievements. In 2018 they achieved a progress 8 score of -0.2 and an attainment 8 score of 4.6, which is significantly above the national floor level. Their curriculum is driven by their inclusive moral purpose that was commended in their recent section 8 Ofsted report. It was clearly evident that they do not chase attainment measures but instead encourage students to study a breadth of subjects that are important to them. It was clear the curriculum has been developed to fit the pupils, even if it has a detrimental effect on key performance measures. Pupils are also proud to be part of the school. They were, polite, enthusiastic and articulate. They reiterated how they were treated as individuals, that they felt safe and they were part of the Warriner family and valued the high outcomes of the pupils before them. They praised the highly inclusive nature of the school, the pastoral care, the SEND provision and the dedication of staff. The behaviour I observed was good in all cases. The culture of high expectations and restorative justice translated into calm, learning focused environments. The rebranding of Pupil Premium students from ‘disadvantaged’ to ‘Futures’, ensured pupils had aspirations and dignity, through the staff respect and acknowledgment of difference to create equality. Mr. Fisher has been with the school for 2 Years and has bought the Future students to the forefront of everyone’s agenda. High Prior Attainers (HPA) are also expertly targeted through opportunities for stretch and challenge, such as the Brilliant Club, challenging flight paths and interventions. Progress for all vulnerable learning groups is underpinned by the relentless demand for Quality First Teaching in all classrooms. The focus on achievement for all pupils stood out as exceptional. The key appointment of a Raising Achievement Manager, meant data was collected, disseminated and scrutinised expertly for all vulnerable learners. The proactive use of Go4Schools means that data is readily available and is shared with all stakeholders through variants of the App. The Raising Achievement Manager, ensures that the message of ‘achievement for all, is a shared responsibility for which everyone is accountable’ is school wide practice. The leaders were often reluctant to take credit for the impact they had personally made, instead praising the work of others in the team. They were also reluctant to concede that they do anything ‘out of the ordinary’ as Inclusion is just everyday practice that is embedded in their normality. The school has forged strong, productive links with the local community, allowing the community to share its resources and expertise. The community regularly uses the working farm and the swimming pool. Most laudable, is the gifting of land to the local SEND free school so they can imitate the SEND provision for the benefit of their high need pupils.